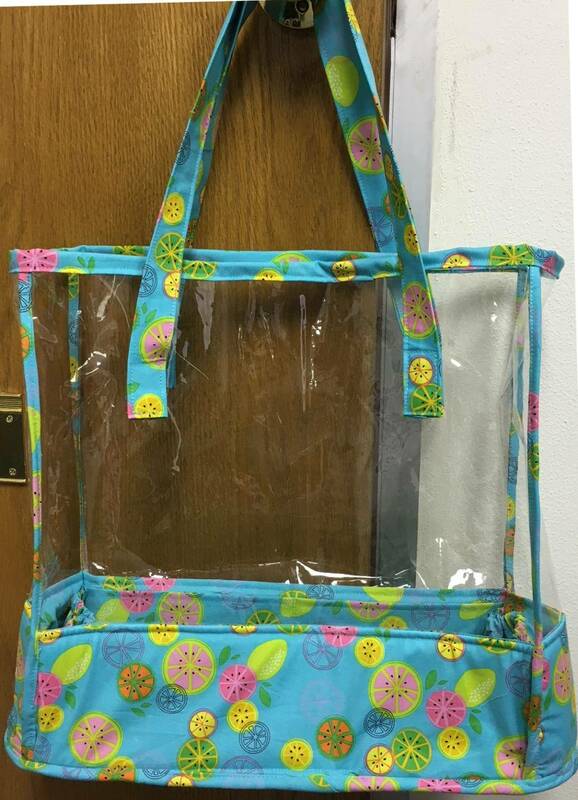 Show off your farmers market finds with this fun tote bag! Not all is exposed, though – the bottom fabric panel hides pockets for your keys and wallet. Your fabric accents can be all one fabric or make it scrappy!